KUCHING: The Dayak Junior Badminton Championship, organised by Kelab Badminton Kenyalang (KBK), will be held at the badminton hall at Mile 11 along Jalan Kuching-Serian on Sept 1 & 2. It is open to members of the Dayak community (Iban, Bidayuh and Orang Ulu) for boys and girls for the Under-12, U-14, U-16 and U-18 age-categories. The doubles competition will only be limited to the U-16 and U-18 categories. Each player is only allowed to take part in a maximum of three events. Total prize money amounting to RM4,480 await the winners. KBK president Petrus Ngalih Tinggi hoped the tournament can become an annual event. He also urged parents to motivate their children to take part in it and encourage them to join training classes at the more established clubs in the state. 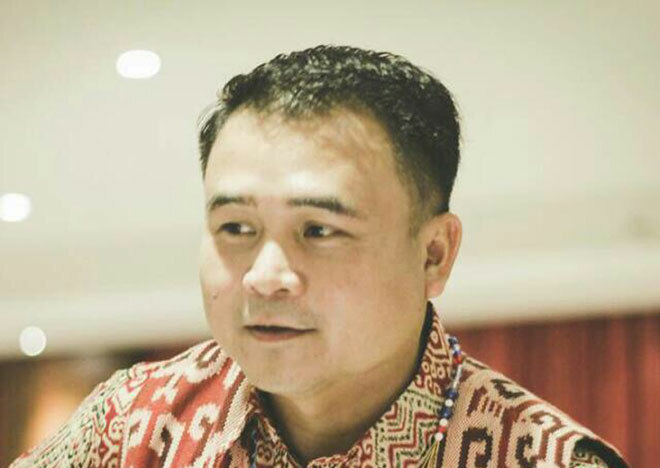 “This is in line with our objective of wanting to see Dayak youth having greater self- esteem and self-confidence so that they could be participating in the various international tournaments in the near future,” he added. Deadline to submit entry forms is set on Aug 25 (Friday). KBK was set up last year with Minister for Utilities Dato Sri Dr Stephen Rundi Utom as patron. For more details, call Ngalih at 0111-9879606 or Anthony Ugor Nili at 014-5784618. On refereeing matters, refer to Anthony Ugor Nili at 014-5784618.